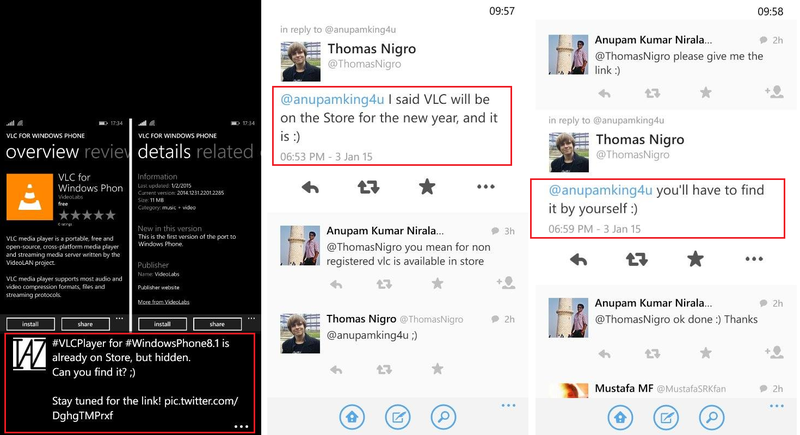 VLC for Windows Phone official release was already live in store from 2nd Jan 2015, but its hidden. 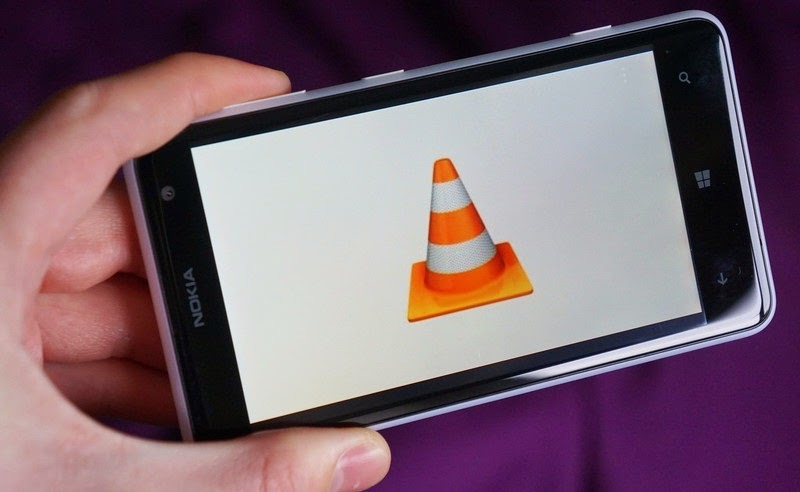 The below tweets by Thomas Nigro clearly state that VLC player is live and officially released for all users publically. On the left side of the image a screen shot tweeted by Nawzil Najeeb also clearly mentioning the same. Looks like both guys are teasing. 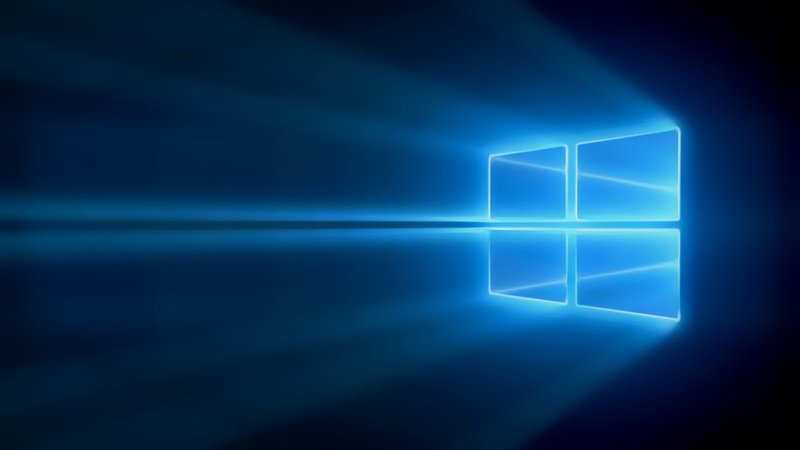 Interestingly, we only know that it's a 11 MB app named "VLC FOR WINDOWS PHONE" . Can you find it in stores?